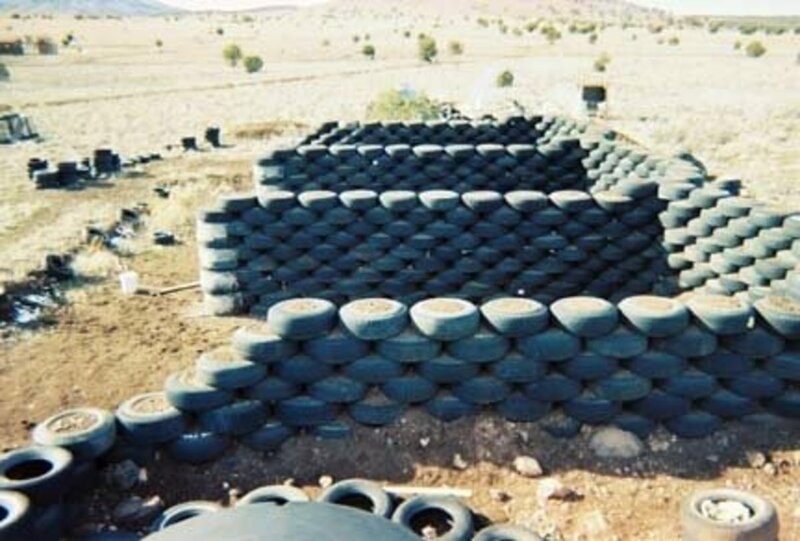 We built our own Earthship from recycled tires. Here's the story of our journey, with photos and tips about things we learned along the way. 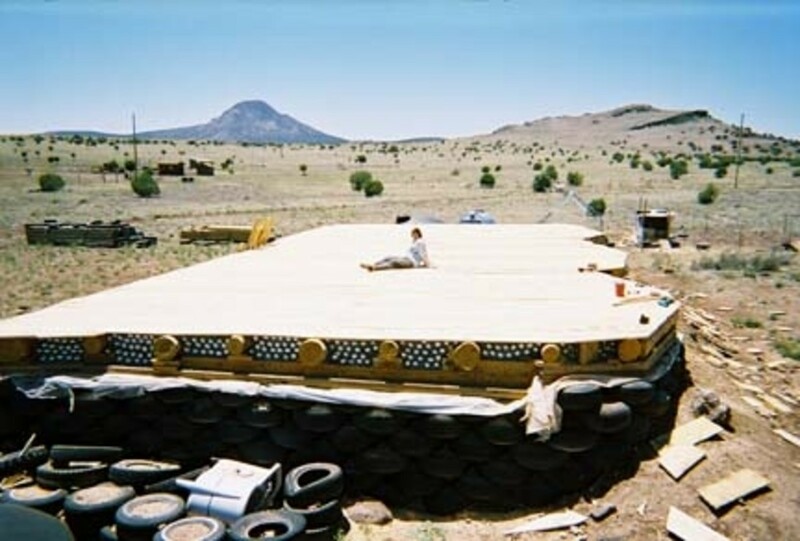 What IS an Earthship and Why Would I Want to Build One? 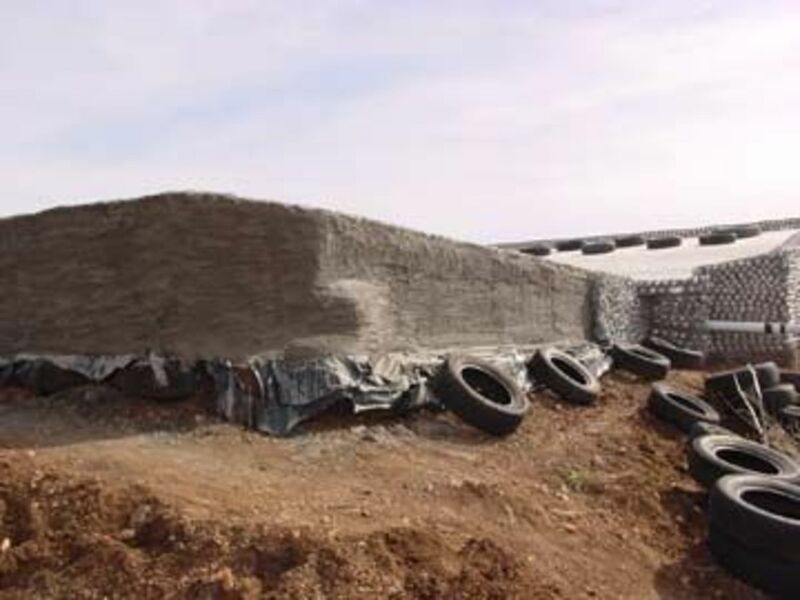 According to the Think Green Building Glossary, an Earthship is defined as a building system using tires as permanent forms for rammed earth, passive solar design, rain catchment, and other integrated systems to create low-impact, energy-efficient structures. 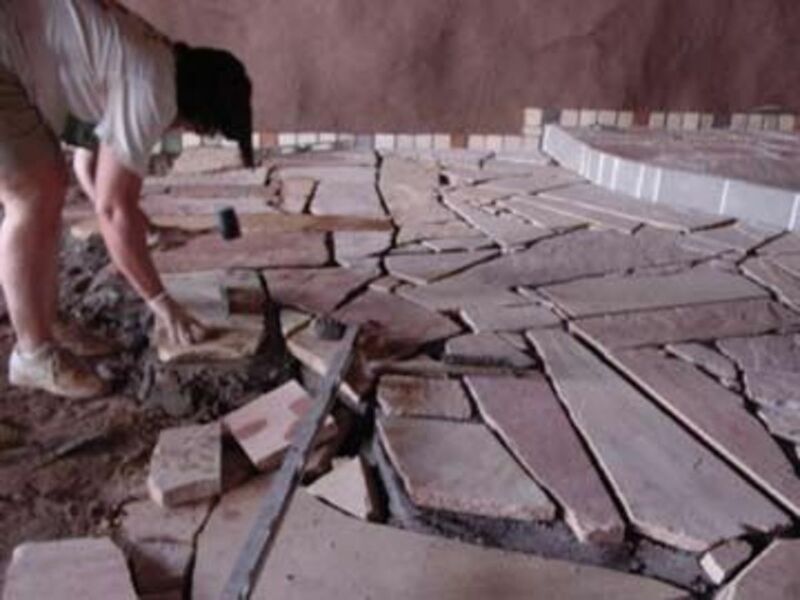 There are numerous reasons to build an Earthship. You care about the planet and want to help recycle tires. You want to control heating and cooling costs. 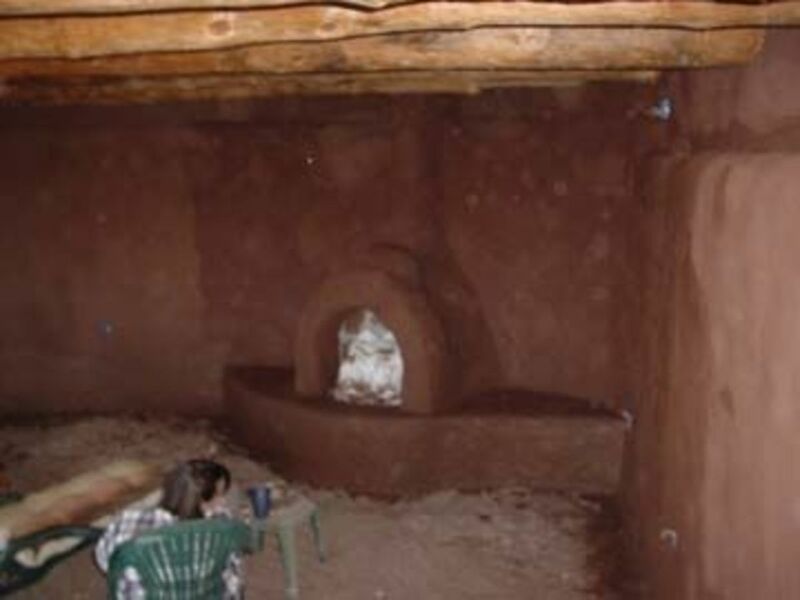 You want to use passive solar gain to heat your home. 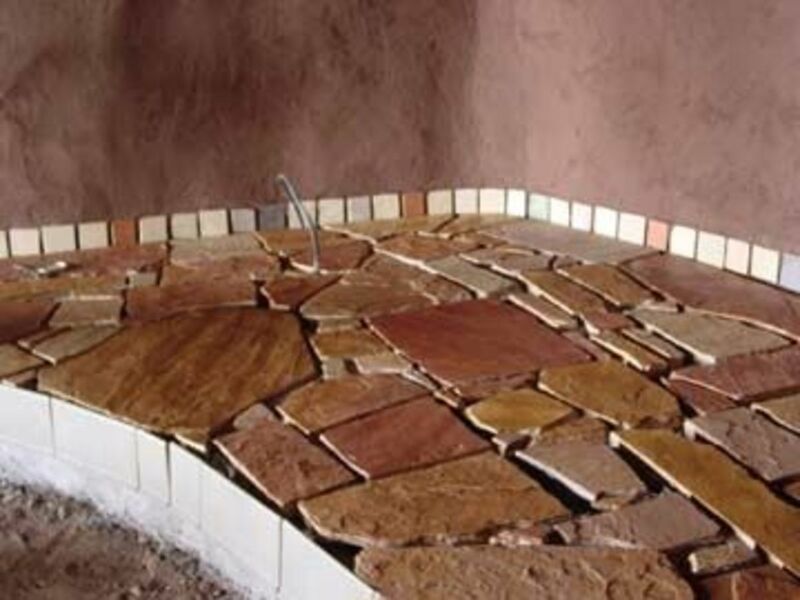 You are concerned about water shortage, and want to collect rainwater. 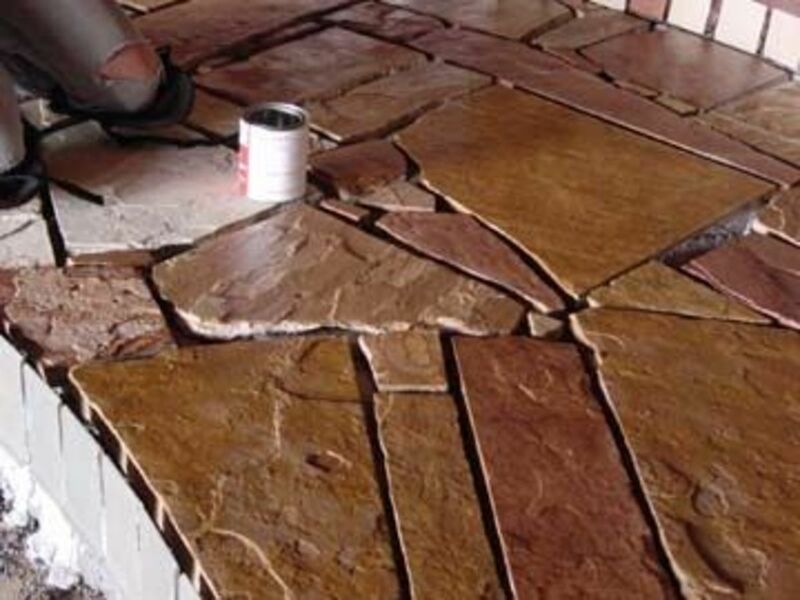 You want to use natural materials in your home. You want to raise your own food year-round, indoors. You are a totally cool person, and I want to meet you. 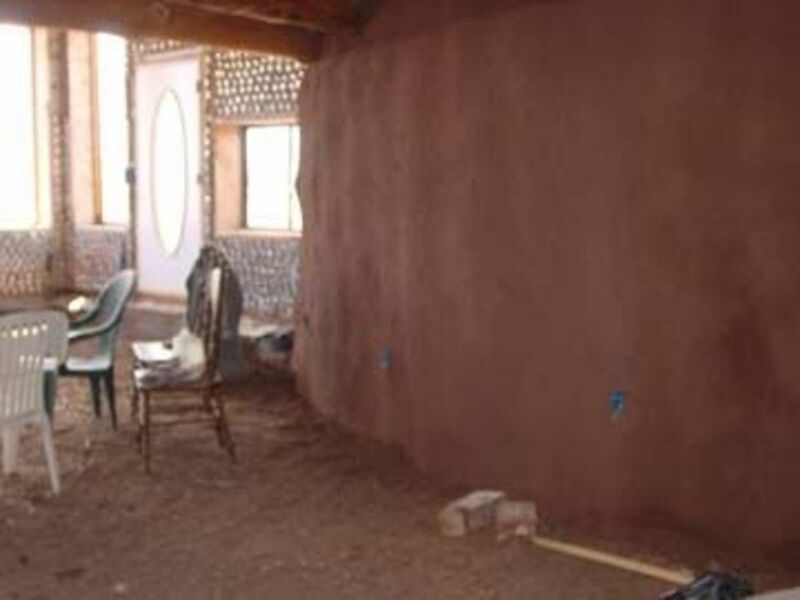 Rammed earth tire walls in typical U pattern for Earthships. 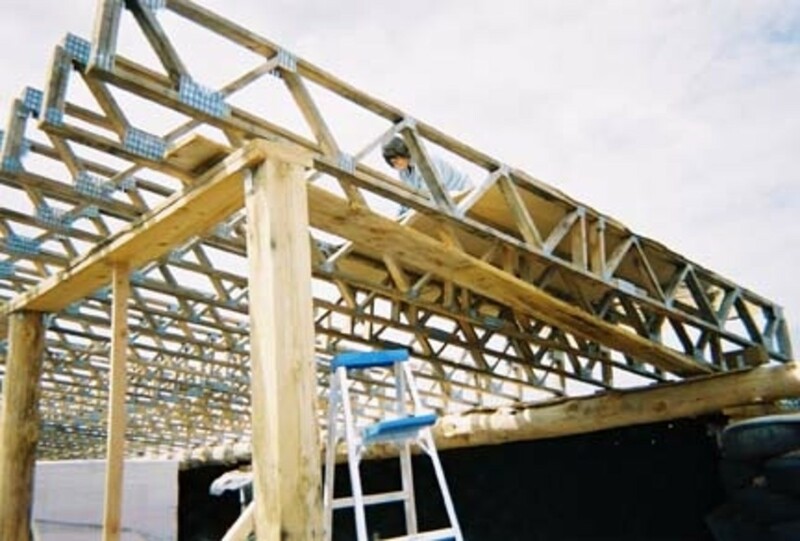 Setting vigas for roof support. 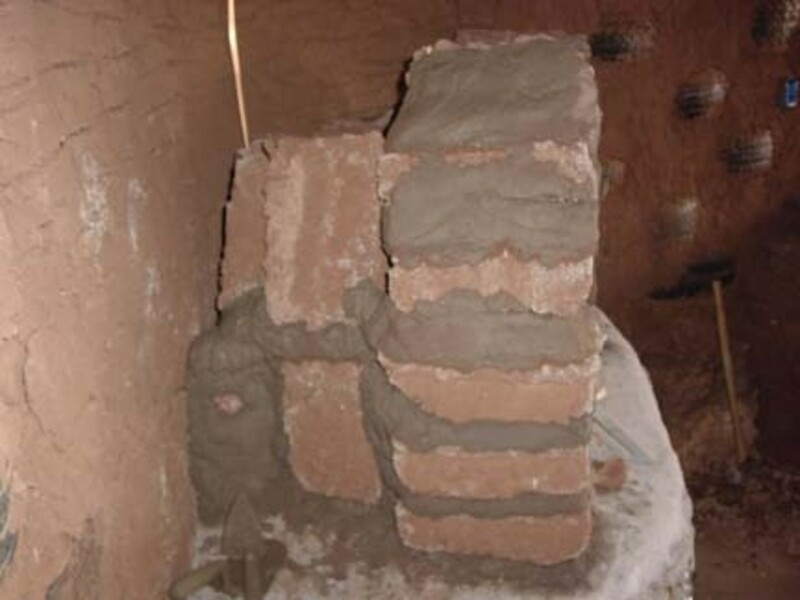 Drying adobe bricks to be used in building fireplaces. 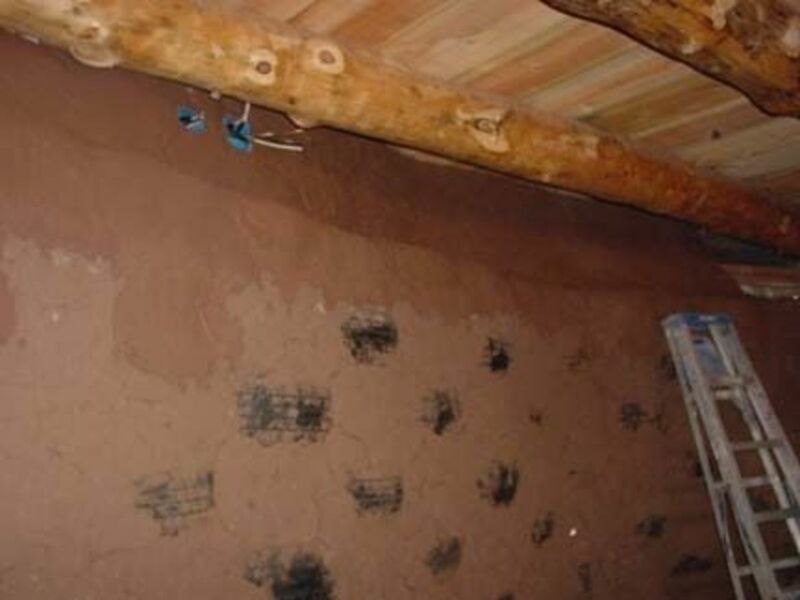 Earthship interior rammed earth tire walls before mudding. Exterior west wall during construction. That's what we did. We bought Michael Reynold's books and read them over and over again. Then we started collecting tires... the rest is history. 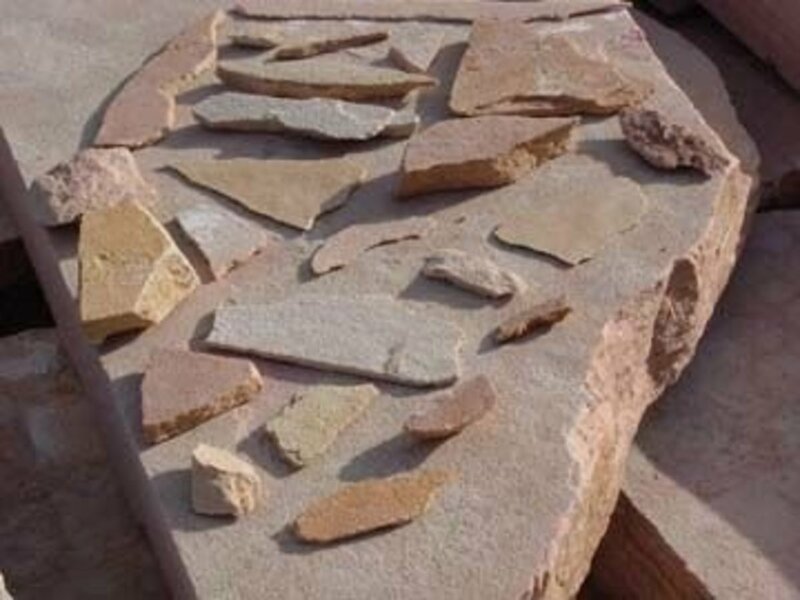 Fagstone samples used in floor. 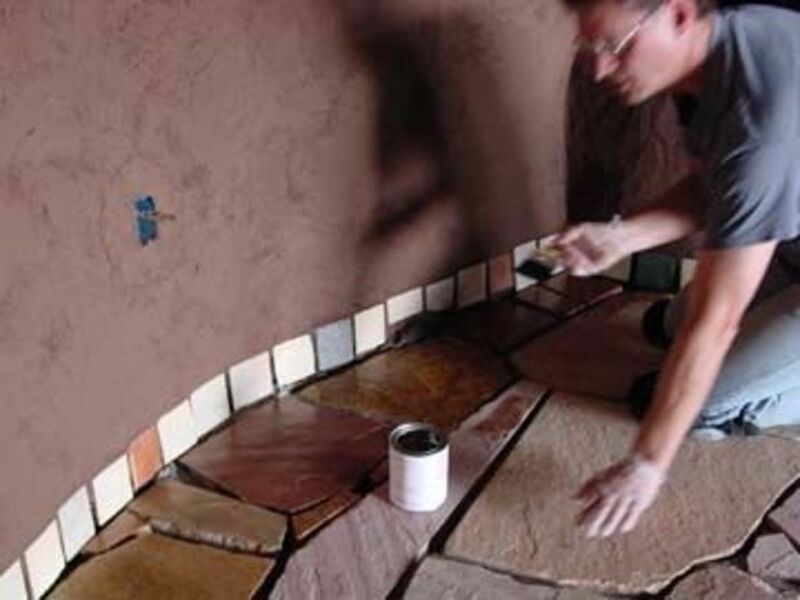 Mud application in living room: Setting flagstone pictographs into wall. 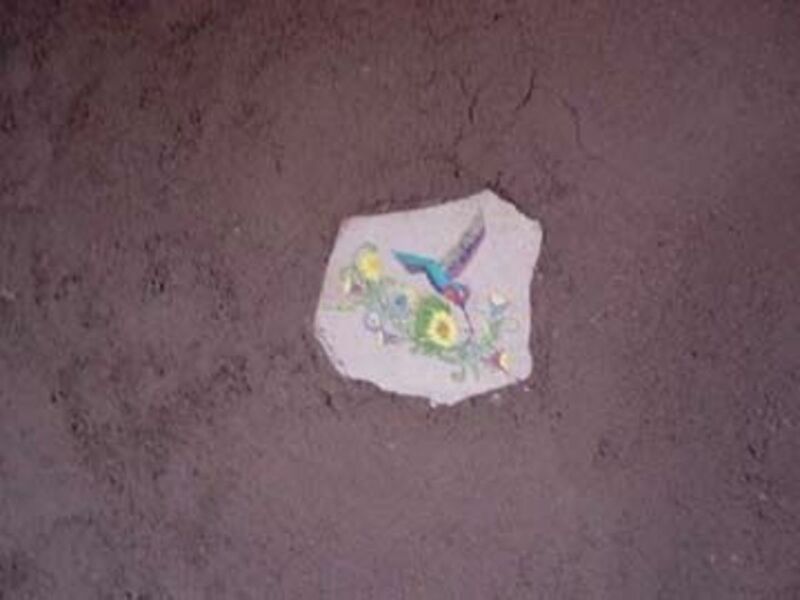 Mud application in bedroom: Setting flagstone pictographs into wall. 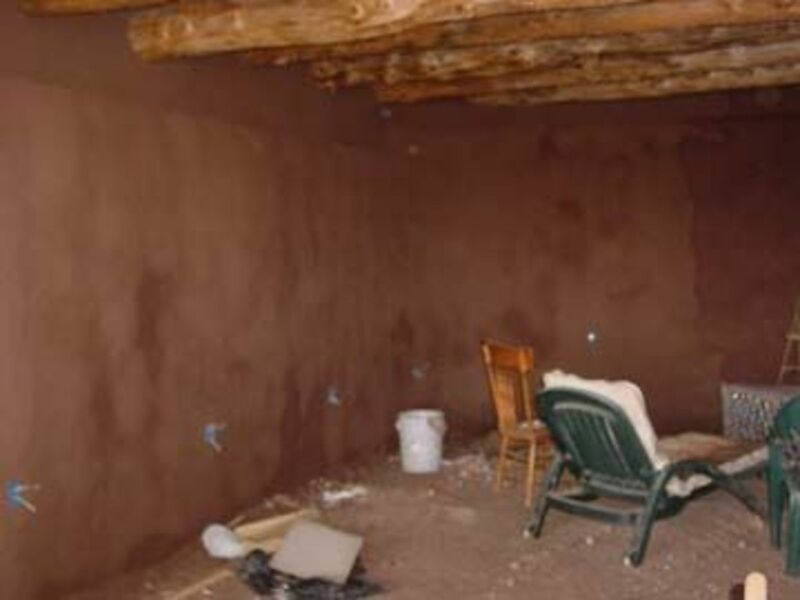 Mud application in living room. 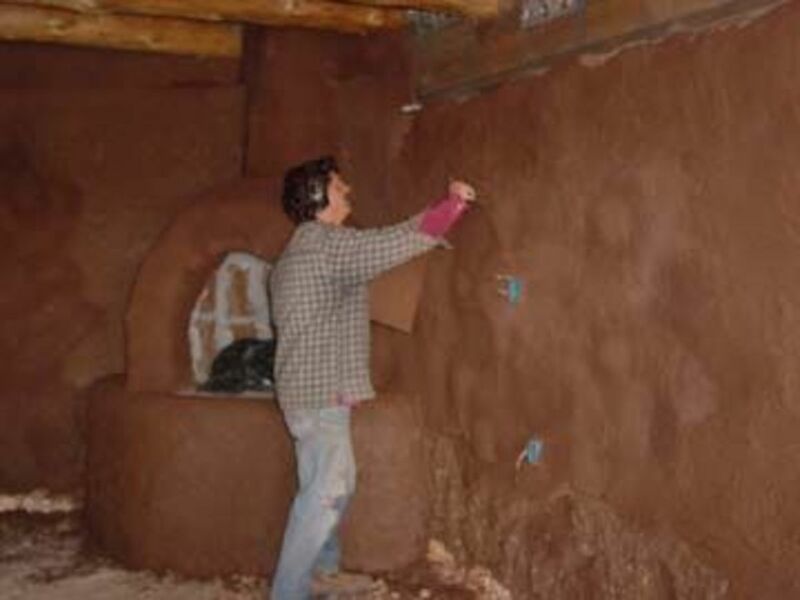 What are the advantages of building an earthship? 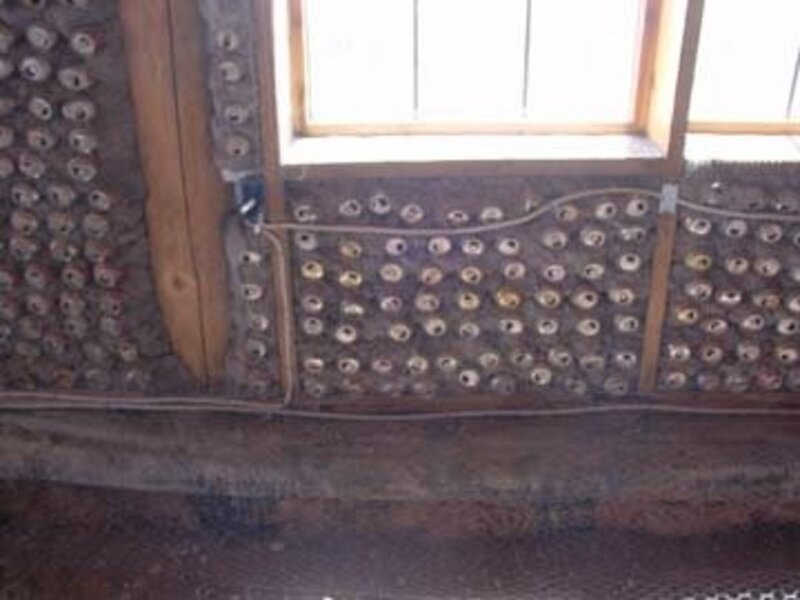 Energy Efficiency - Earthships provide a large amount of thermal mass. 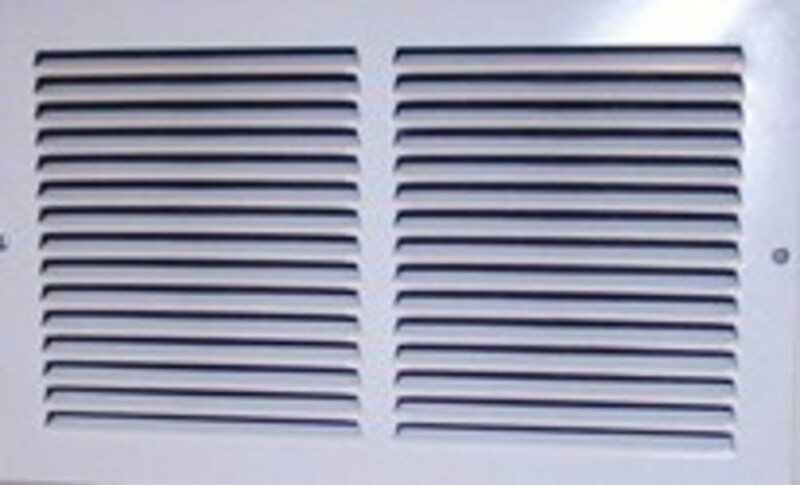 This helps keep the house cool in the summer and warm in the winter. Most homes of this type have been built in the southwestern part of the United States although I did visit a house under construction in Bancroft, Ontario. 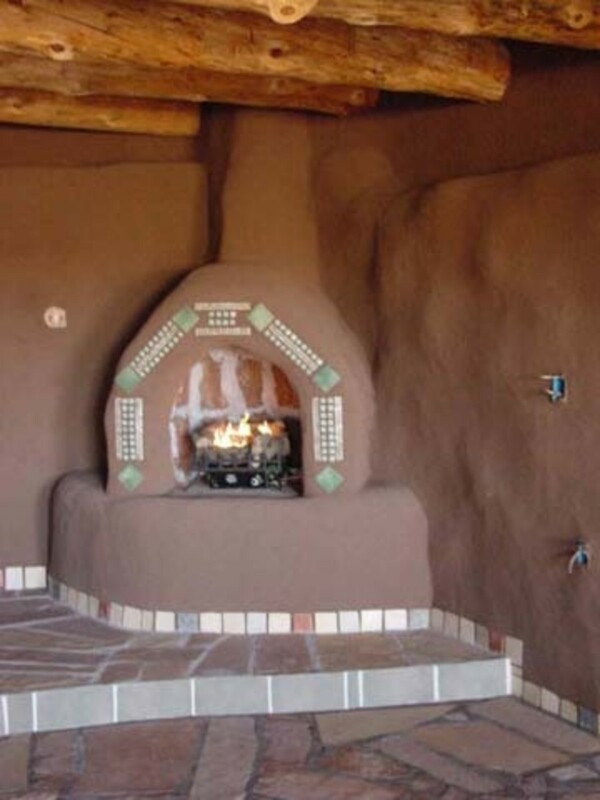 I don't recall if the owners were going to insulate the outside at all, but it may not be a bad idea for northern climates. 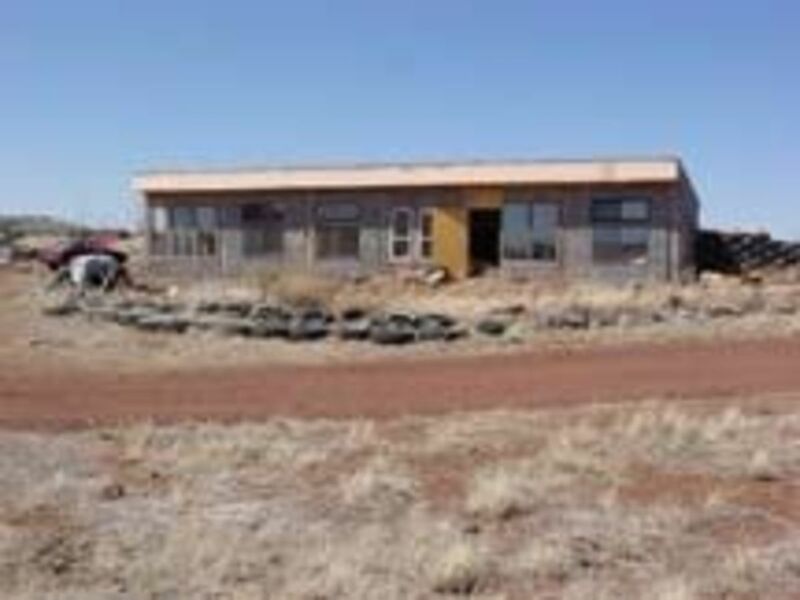 Self-Sustainability - These homes are designed to take advantage of natural resources. They are typically built in a rectangular form and oriented to take advantage of passive solar radiation. 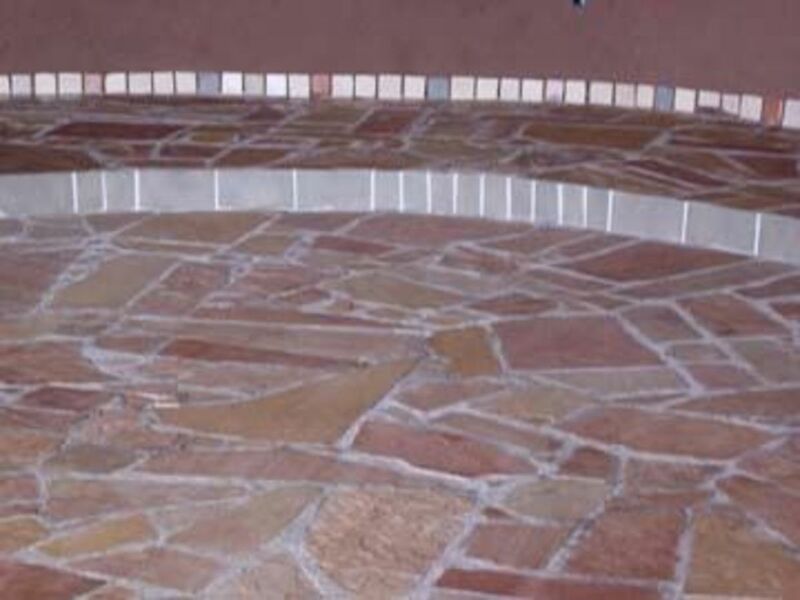 Rainwater is also stored in cisterns and gray water is recycled. 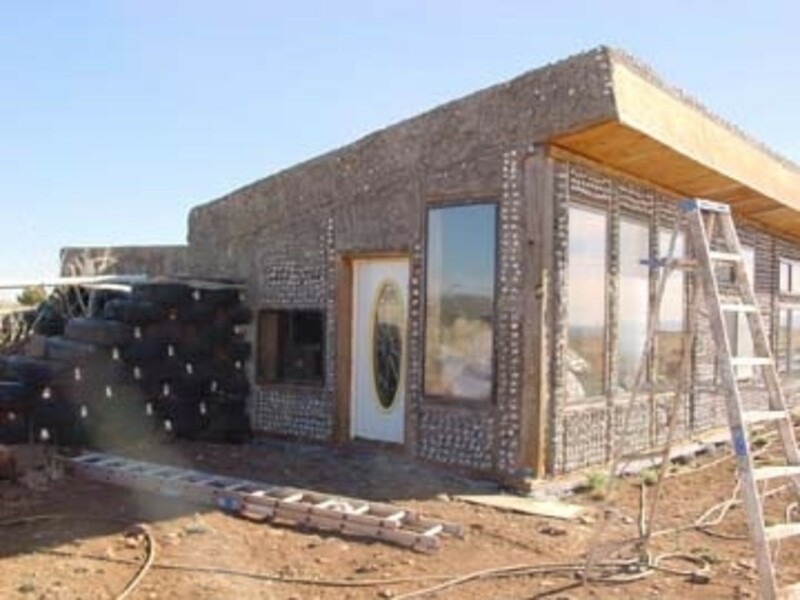 "Buildability" - Earthships can be owner-built. 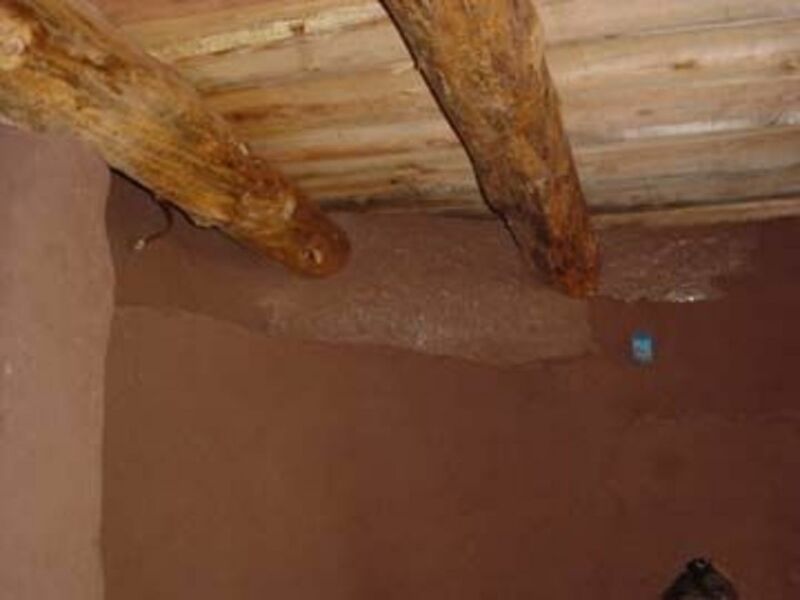 There is obviously quite a bit of labor involved but if time is not a factor, a house of this type could be built with just a couple of workers. 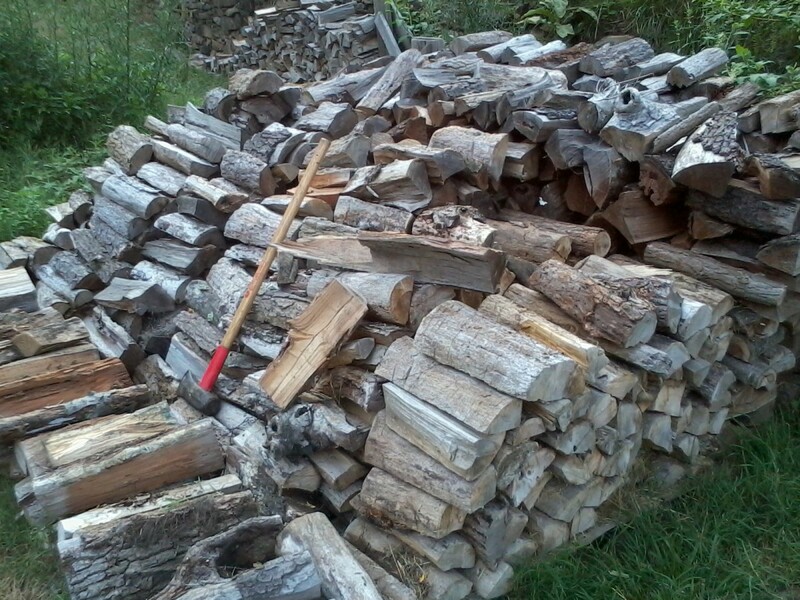 Basic carpentry, plumbing, and electric skills are required. Easy Availability - Not only are tires easy to get, but some places will pay you to take them away! There are plenty of tires, bottles, and aluminum cans around. 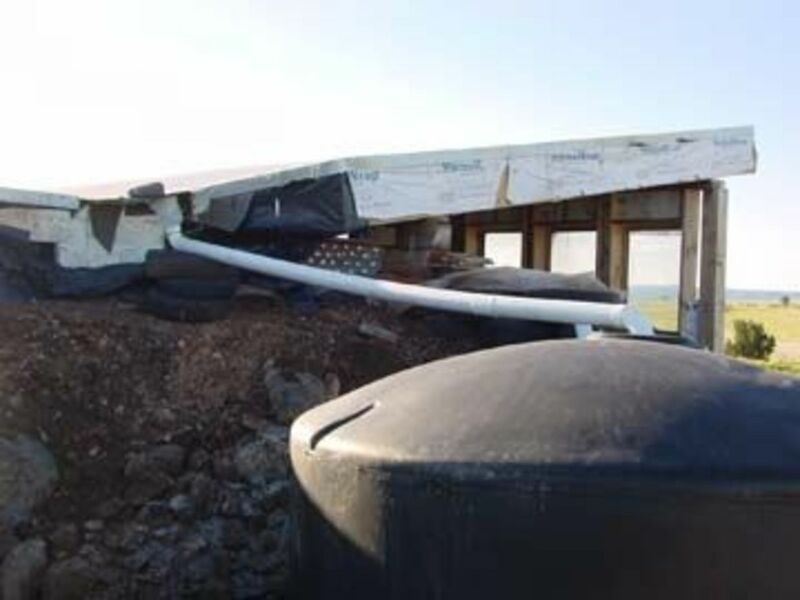 What are the disadvantages of building an earthship? 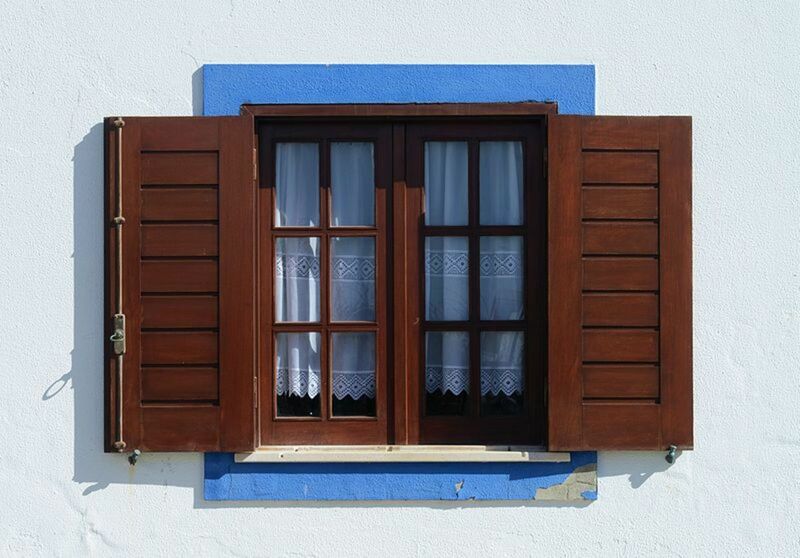 Resellability - You may have a problem reselling a house that is different from the norm. 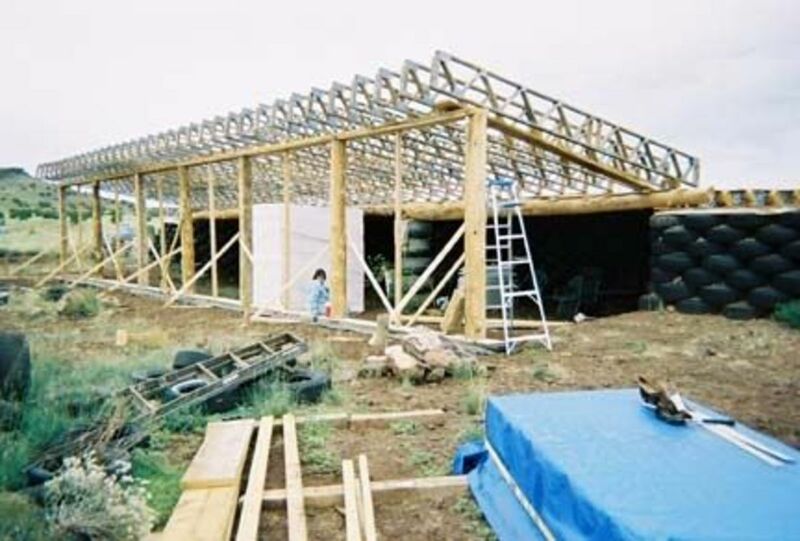 In most cases, the occupants who build alternative homes are usually building them for a lifetime, but if plans change and you need to sell, it may take longer to find a buyer. 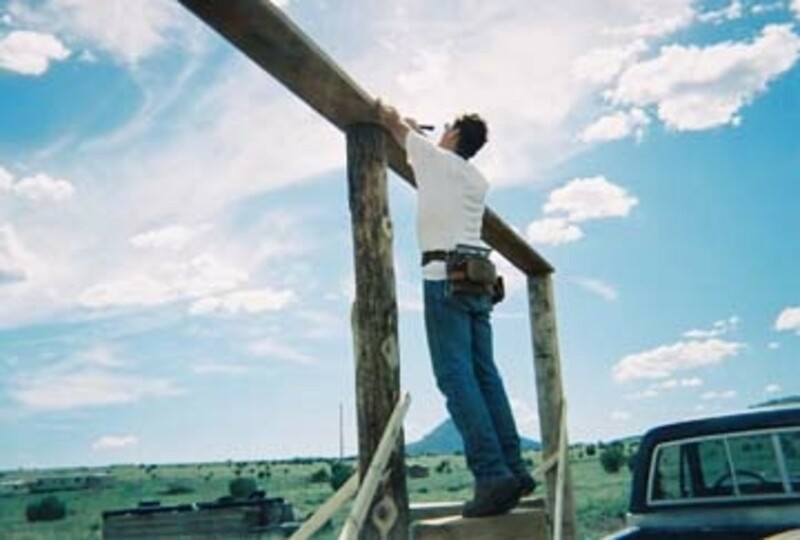 Building Permits - As with all alternative building methods, you might run into some problems with local building codes. The walls are the biggest hurdle. 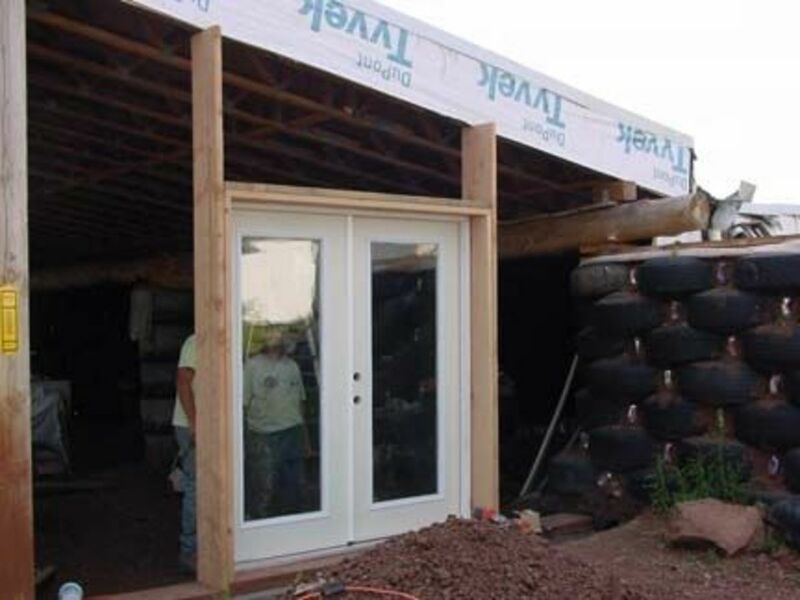 The rest of the house is built using conventional methods, but getting approval for the rammed tires might be a problem. 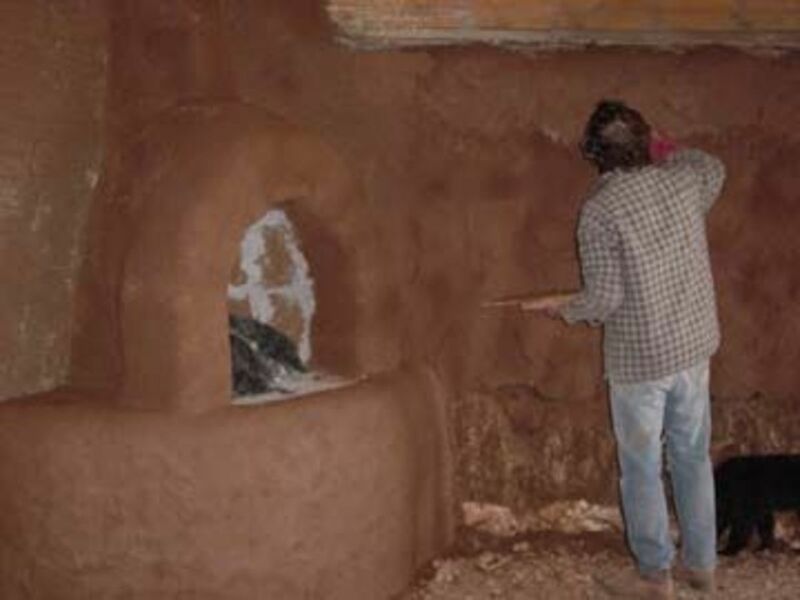 Financing - Earthships are a very new concept in building design. 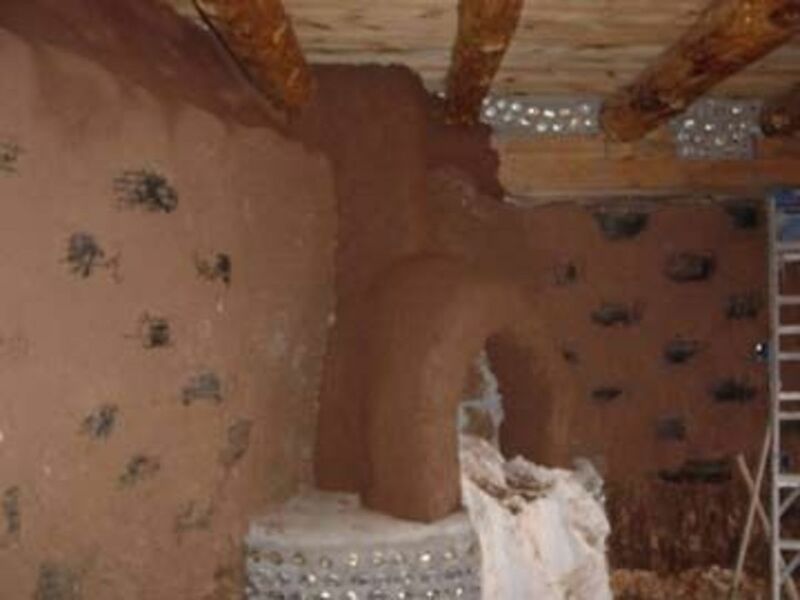 Fannie Mae, the nation's largest supplier of home loans, is exploring environmental loans that might include earthships some time in the future. 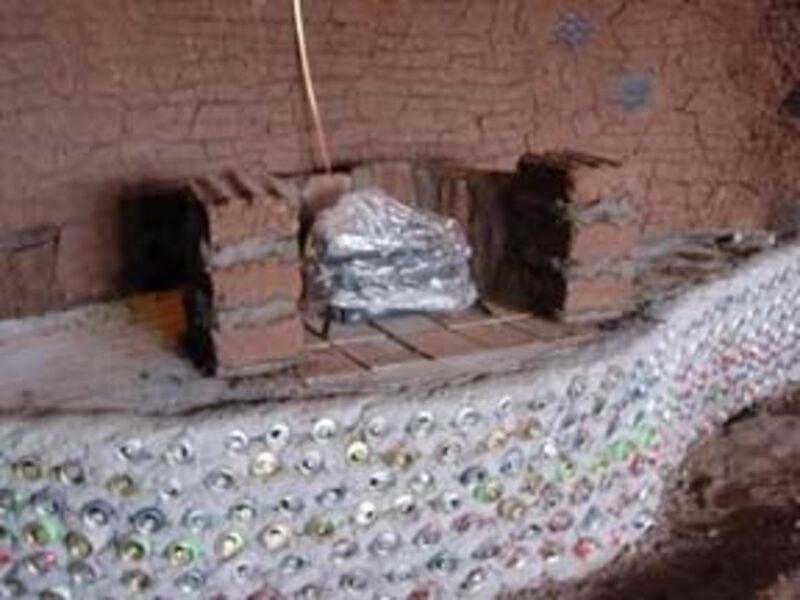 Can in-fill south solarium wall. 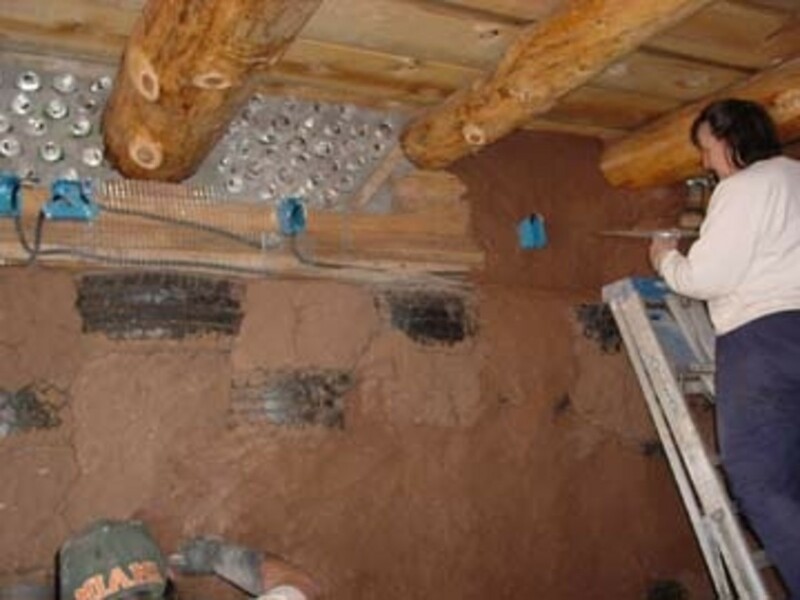 Mud application to rammed earth tire walls. 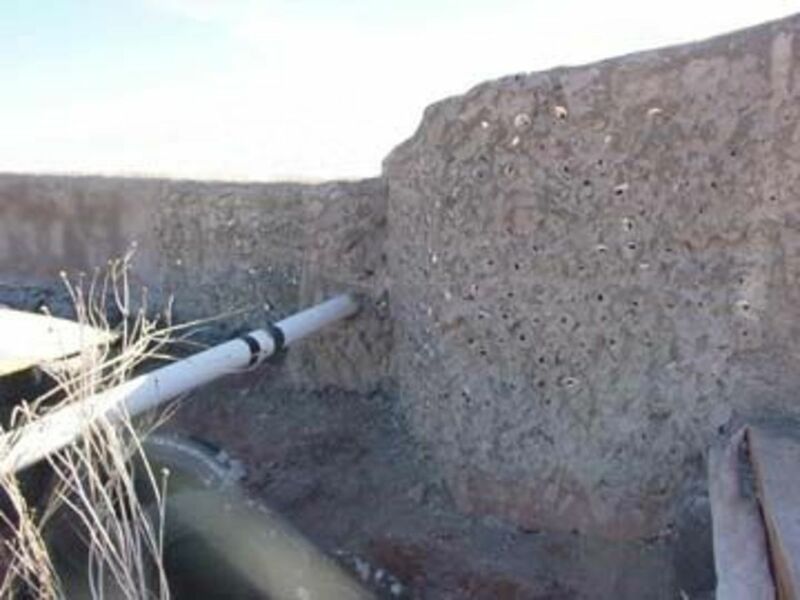 Mud application to tire walls and can in-fill. 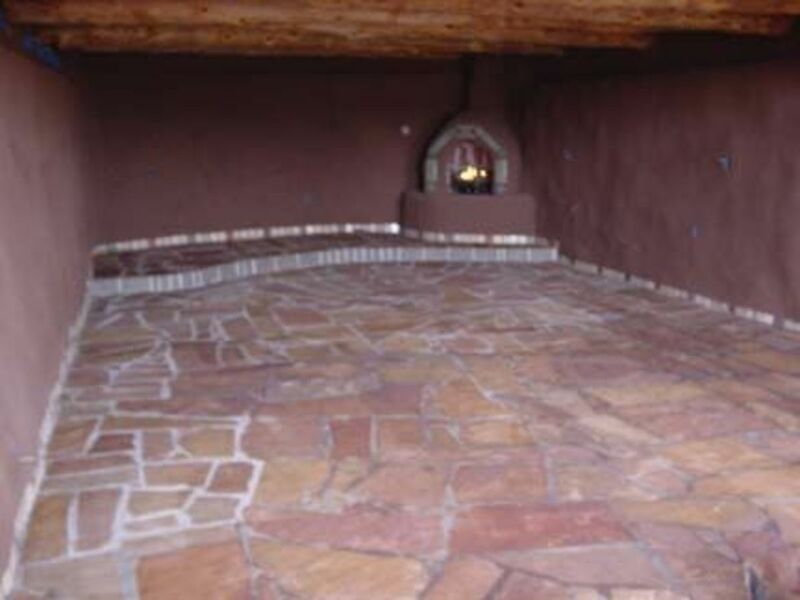 Exterior stucco & rainwater collection. Read all of Michael Reynolds' books. 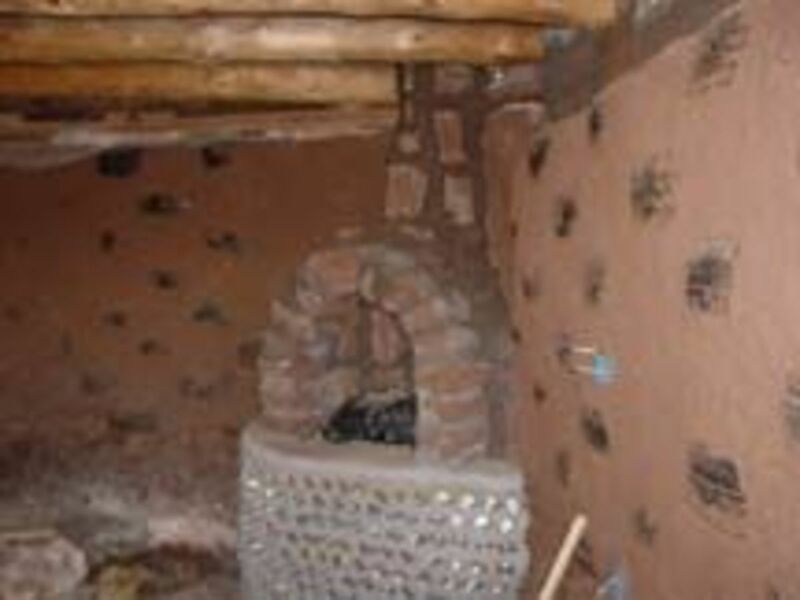 Tour an Earthship, so you know how if "feels" to be inside of one. 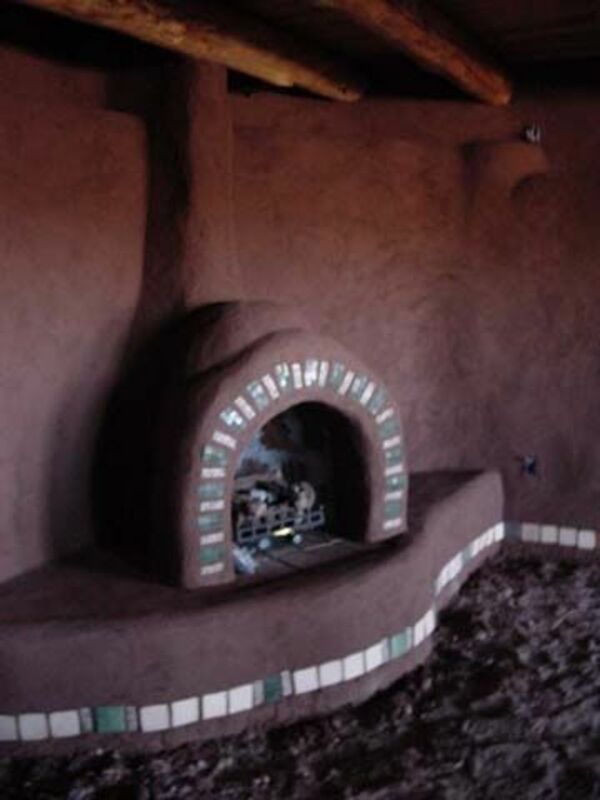 Visit the Earthships in Taos, New Mexico. 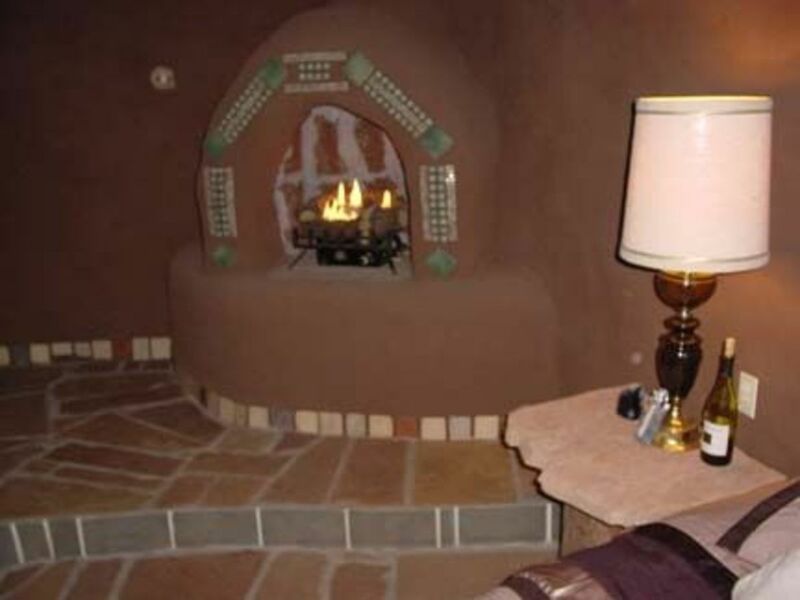 Consider renting an Earthship for a week. 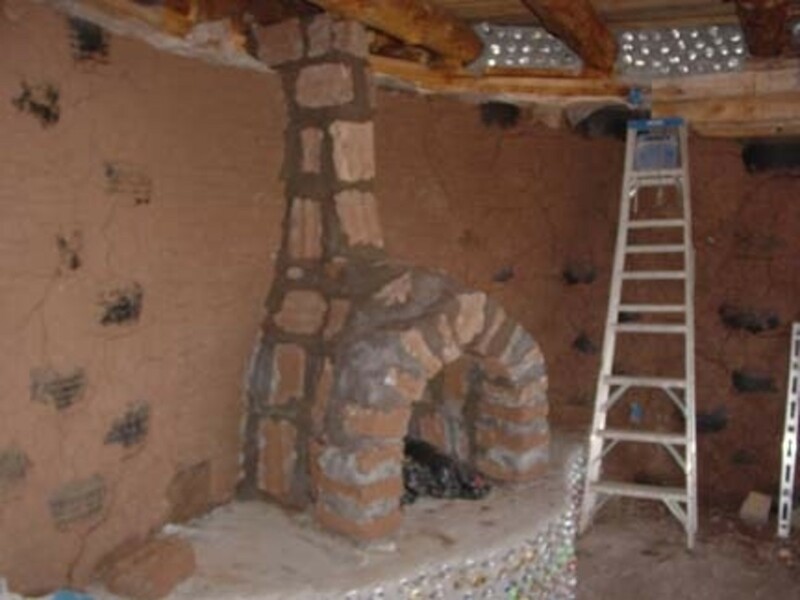 8 - Consider buying a pre-built Earthship. Visit Michael Reynolds' website for floor plans, consultation, or discussions. 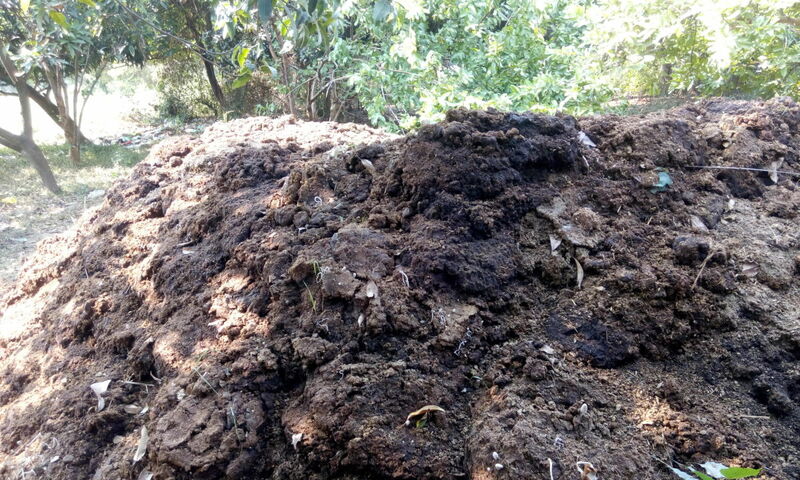 What Are the Different Types of Compost and Which Should I Use in My Garden? Please share you comments here. 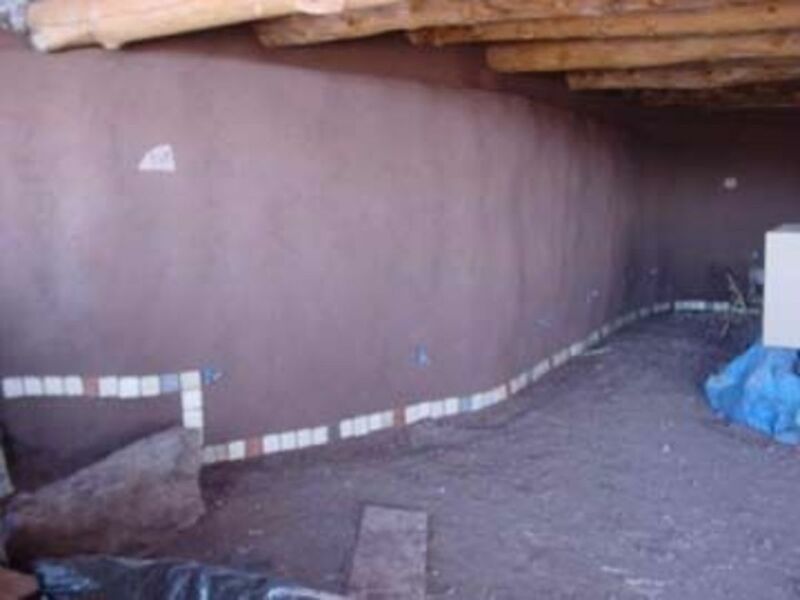 We would love to know what you think of our Earthship. 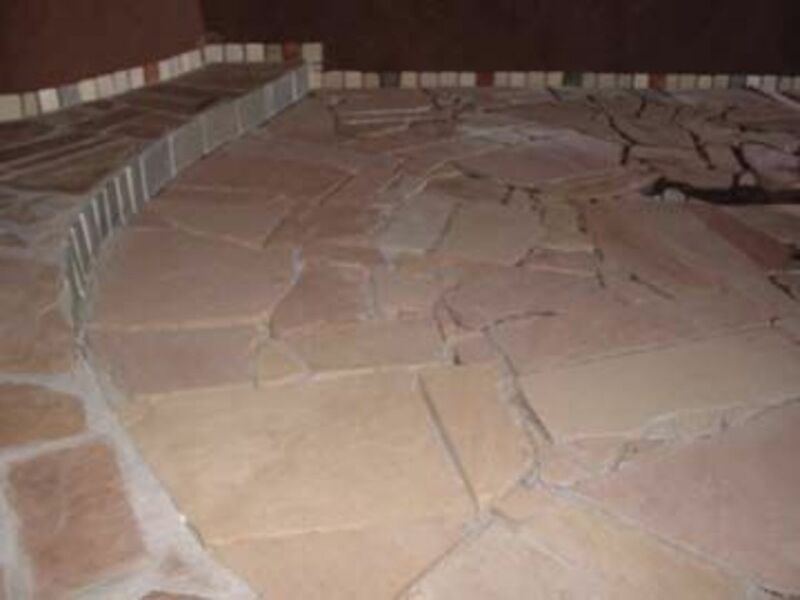 Can you tell me how you finished the flagstone floor? I have heard of boiled linseed oil, but I can't find how to apply it. 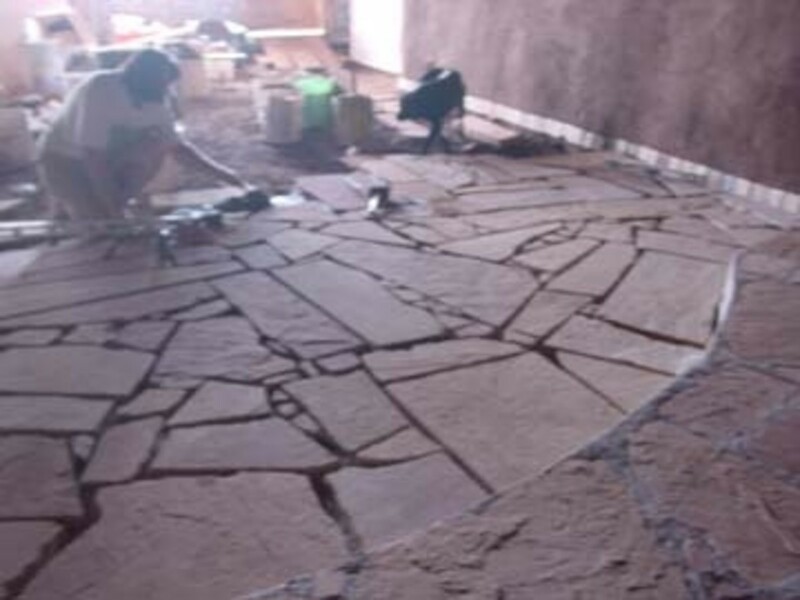 I'm building an Earthship in Colorado and want to finish my flagstone floor so it has the seal and shine. A very good use of resources. Interesting read. 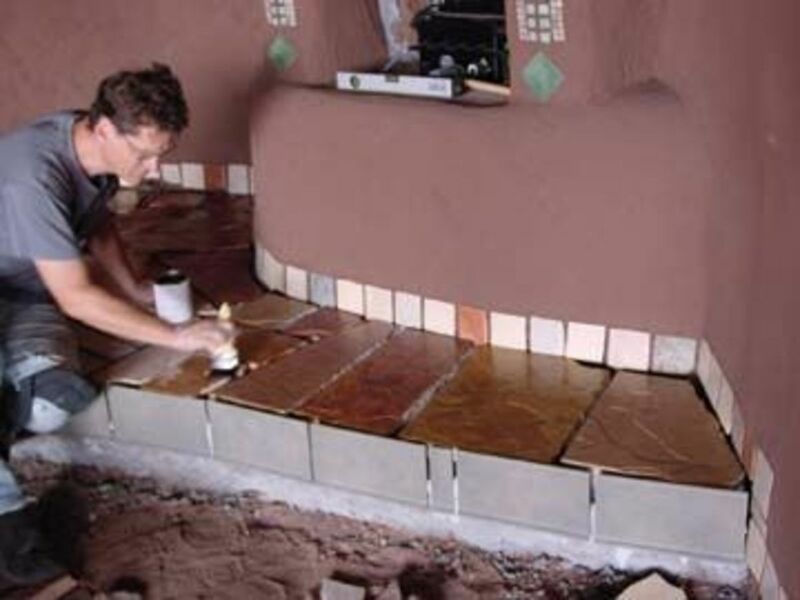 I've been getting into the Earthship designs a lot lately, here at Texas Tech University. I would love to get more information and/or work on a building crew! Any information would be greatly appreciated and enjoyed. 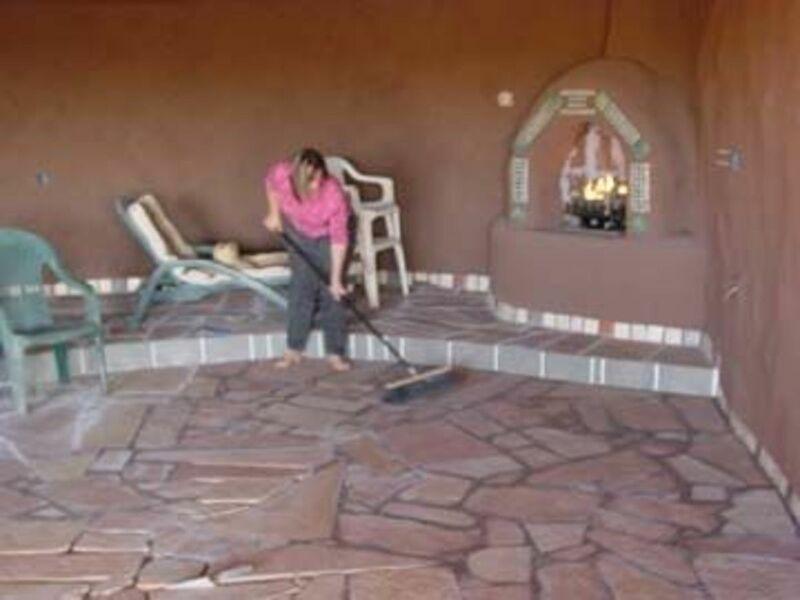 JoDee, I love that you have an EarthShip! 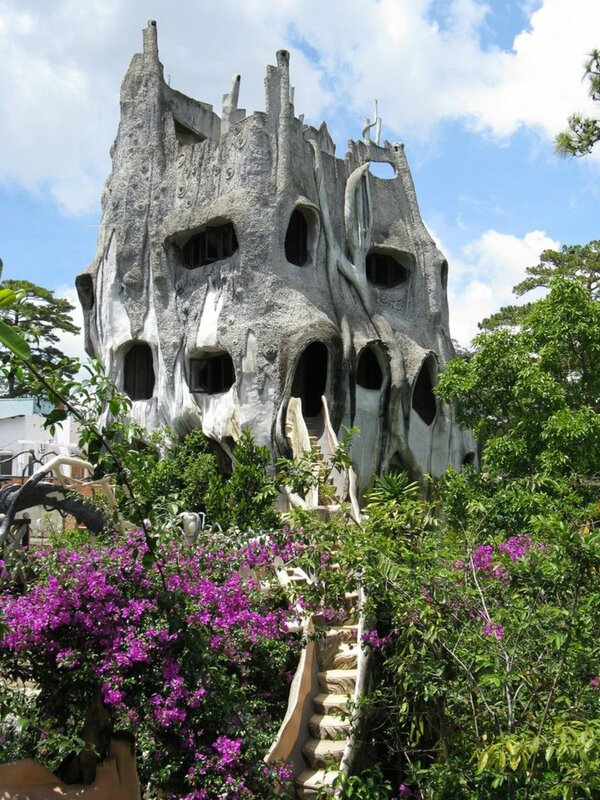 They are my favorite building type for a home, and I have been visualizing myself living in one for a few years now. 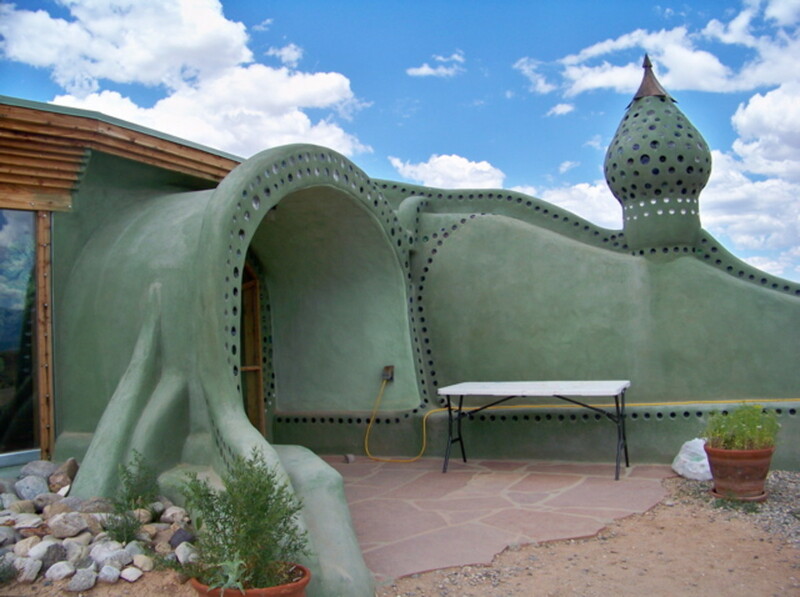 When I stop traveling, I am definitely going to build an EarthShip. I think the list of "disadvantages" says a lot. They're such minuscule considerations compared to the other HUGE issues involved in building a structure. Totally worth it. 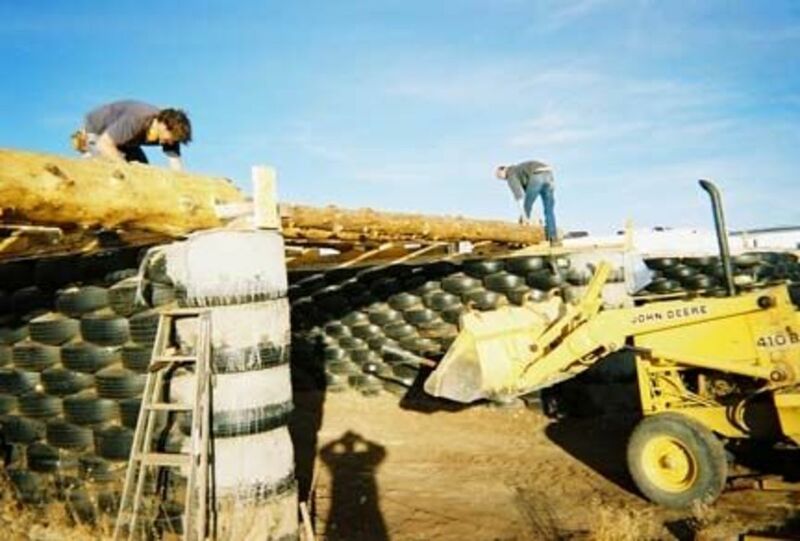 Thank you for sharing your photos with us and high five on building your EarthShip! @anonymous: Carme, Thank you for your comment and question. Roughly, we averaged 4 - 6 tires a day. We have done as many as 9, however, that was not sustainable per person. 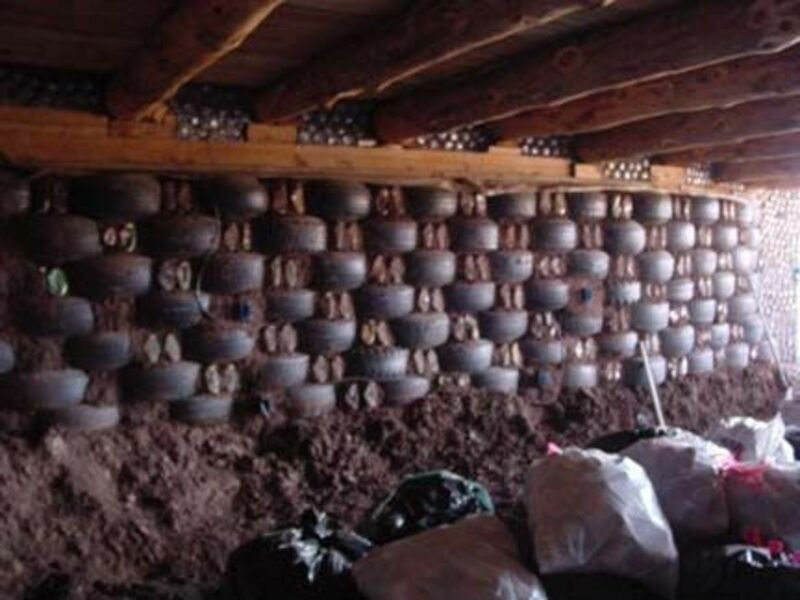 There are 738 tires in our earthship, so you can do the math to calculate how long it takes if you work at it every day! Thank you so much for giving such testimonial of your experience. Very helpful. 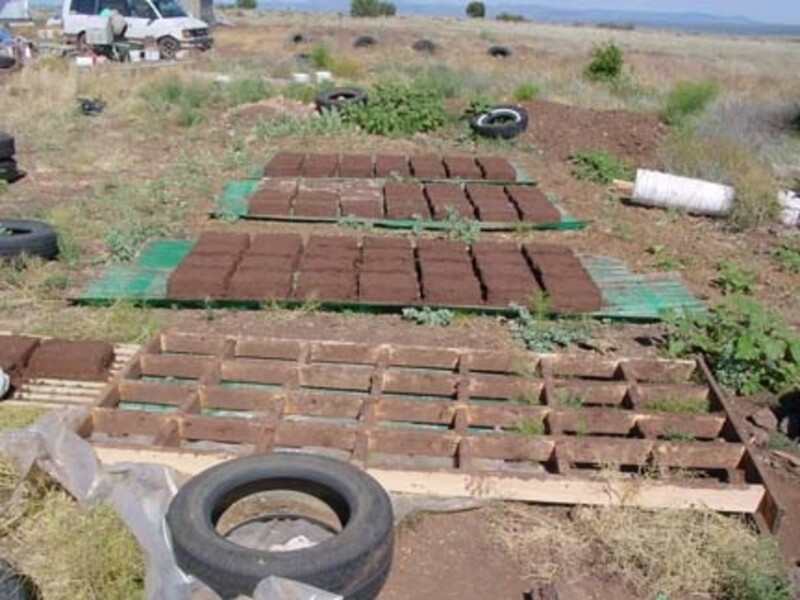 We would like to build an earthship and will follow your advice. 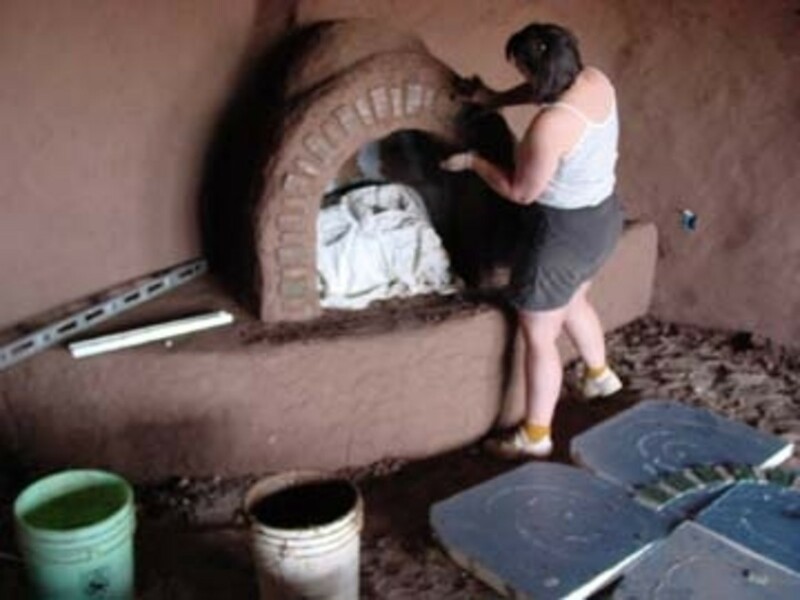 I have read another blog from another people building an earthship and they say that takes 3 to 4 hours to fill ONE tire with dirt!!! is that true? 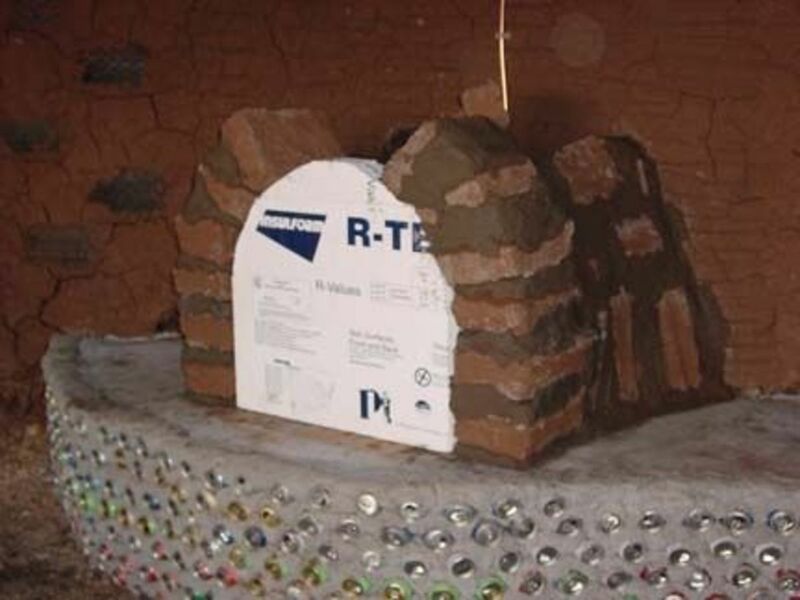 if so, we would not build an earthship for sure. Tahnk you for answering. You have some really good pictures on your site. 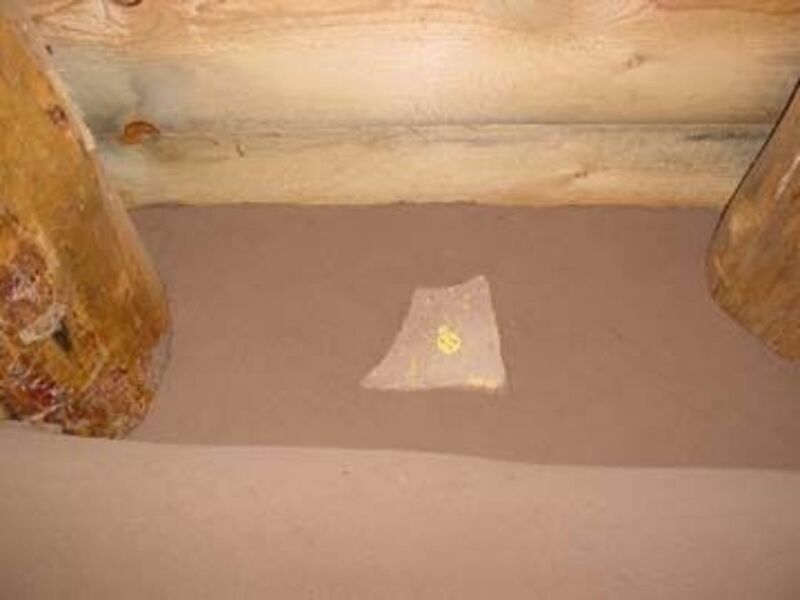 I have been looking for a pic of the rammed earth tires, and you have several. Thanks for all of the detailed information. Wow! Terrific picture diary of your journey. Blessed by an Angel. I would love to build an earthship! What a fun lens to see. I like the more rustic look and that is one cute fireplace. Very nice!!! I applaud your efforts! This is very interesting. Welcome to a Million Ways to Go Green!